Insect Light Trap With Electric Bulb: Made of mild steel with a box at the bottom for placing killing bottle / tray. 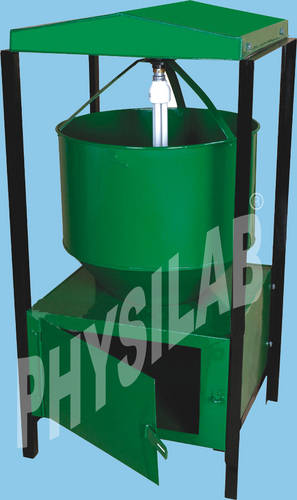 Length of funnel 30 cm, diameter of funnel at the tail end 5 cm, size of box40 x 40 x 25 cm., Funnel coming into box for convenient collection of trapped insects into the tray. Provided with a shade to cover th whole equipment. Supports for stout construction and 5 meter long electric cord. Insect Light Trap With Florescent Tube : Like RI-72-01 but provided with 10 watt electric flourscent tube, instead of electric bulb . Insect Light Trap With U.V. Tube : Like RI-72-01, but provided with 15 watt UV tube.